The power of an atom is the power to change lives and improve societies, especially in areas of the world that are less economically developed. The applications of nuclear technology go far beyond just electricity generation, and include everything from medicine to agriculture. To help build a future in which nuclear technology is used safely and responsibly, the International Atomic Energy Agency (IAEA) has embarked on a program to train high school teachers from Asia and the Pacific in how to develop curricula related to nuclear technology. The larger goal of the IAEA program is to reach a million students worldwide by 2021. 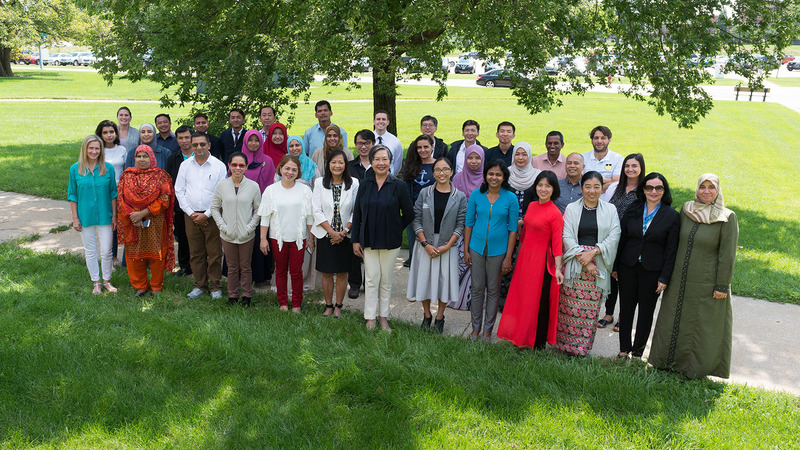 In August, the IAEA held a two-week workshop for 30 educators from 17 countries at the U.S. Department of Energy’s Argonne National Laboratory to learn more about nuclear technology and work collaboratively to discuss how to introduce the topic into their classrooms. Argonne is the only national laboratory to work with the IAEA in helping to educate and inform communities on issues related to nuclear technology and radiation. “We are encouraged by the strong international interest to take part in this course, will evaluate the impact our training program has on education strategies in participating countries and look forward to providing continued support to this important effort to encourage students to pursue study and careers in the field of nuclear science and technology,” said Argonne’s IAEA Program Manager Sunaree Hamilton. The course was the second of a series of six intensive courses for high school teachers that will be held around the world, said Dave Grabaskas, an Argonne nuclear engineer who headed the workshop. The first week of the course focused on explaining the science and detailing the uses of nuclear technology to the educators, while the second week of the course focused on curriculum development and lesson planning. “There are so many potential applications for nuclear technologies, so we need to make sure that kids all over the world have the ability to pursue careers in these fields, whether it’s using radiation therapies to treat cancer or using gamma rays to kill harmful bacteria on foods,” Grabaskas said. According to Grabaskas, this effort marked the first time that the IAEA had engaged secondary school teachers. Previously, the agency had only offered educational opportunities for more technical experts; Grabaskas suggested the change in approach could offer long-lasting benefits to many nations. One part of the two-week session involved the teachers coordinating a debate about the merits of nuclear technology, which could then be folded into a lesson plan. The IAEA selected Argonne as a host site because of the laboratory’s long history of nuclear energy research and training. As part of their stay at the laboratory, the participants got the chance to tour the laboratory’s nuclear research facilities as well as the radiation oncology center at the University of Chicago.